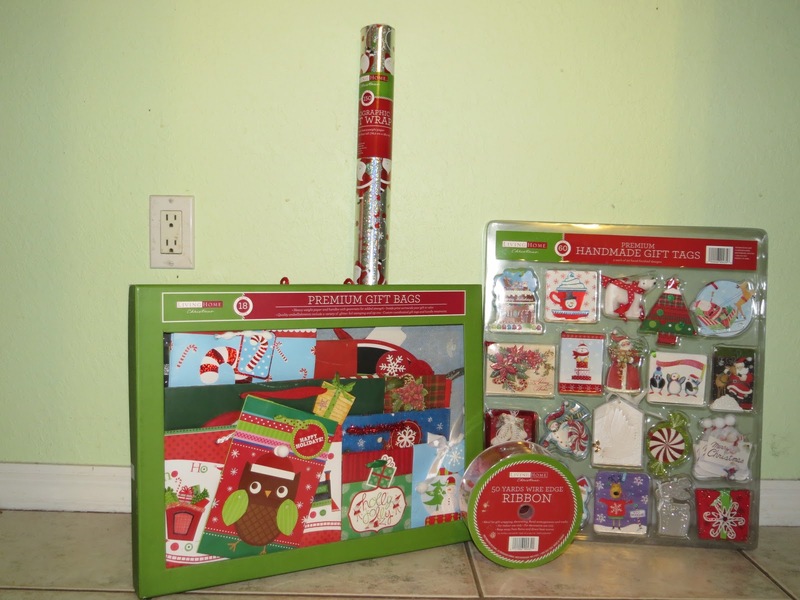 Thanks to BJ's for providing me with some free Christmas goodies to review! Christmas is one of my favorite holidays. I personally love spending time with family, and getting together with friends. As much as I love it - We all know it can get a little hectic. Having to buy all of the gifts, and then of course, the wrapping of the gifts. Well, this is where BJ's comes in. BJ's is a wholesale club, that sells all sorts of great bulk products, as well as many other types of products. I received a really great selection of holiday wrapping supplies from BJ's, so I could wrap, and gift all of my presents in style this year! I am usually pretty casual with my wrapping. I get some basic wrap, and just wrap it up, and that's it. With the help of BJ's, I was feeling much more inspired to do extra. And this all came in perfect timing. For what? Well, not long ago I went out with my family to a local diner, for dinner. While there, I noticed a tree, with those tags, to get gifts for other people. Normally, it's for kids, and I love helping children, but in all honesty - I have a huge spot in my heart for elders. 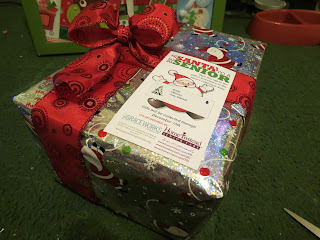 So when I saw the gift-giving was for seniors (It's called "Be a Santa to a Senior," I had to grab some tickets! I ended up grabbing 7 tickets - So after getting my gifts, I had a lot of packages to wrap up. I know how much seniors appreciate the simpler things - Like a beautiful wrapped package; So I wanted to make sure these presents were perfect! 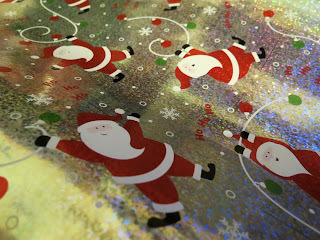 I first took the gorgeous holographic sparkling wrap they sent me, and I wrapped up a package, how I normally would. What I loved about the wrap, is that it's a high quality (There are some wraps out there, that tear, and crumple easily. The holographic wrap is very thick.) and even though it's just a regular wrap, it's just so sparkly, and beautiful. So even if I were to leave my packages just plainly wrapped, I still feel that they'd be loved, and admired for there packaging. 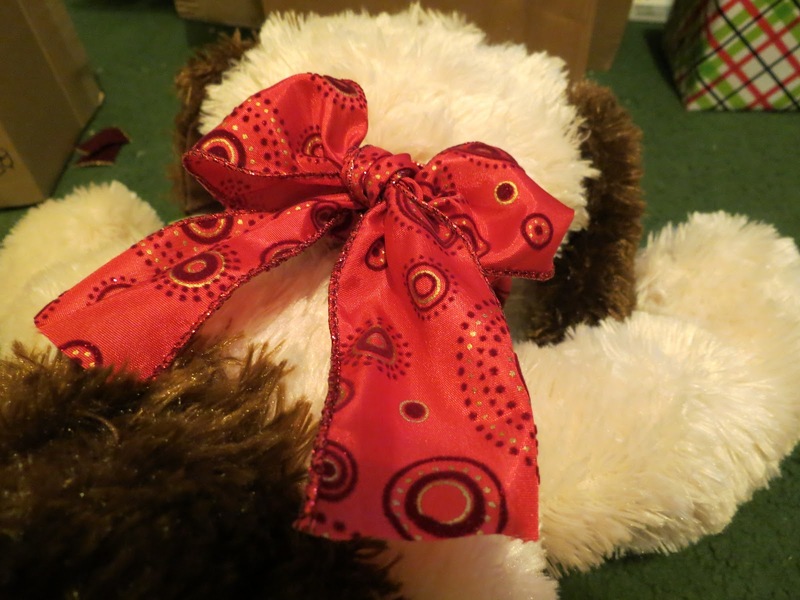 After wrapping up the package, I took the wire-edged ribbon, and made a really cute bow. Since the ribbon is wire-edged, it was easy to mold the bow, to make it full, and beautiful. I actually had a lot of fun wrapping up packages. In the past, I always disliked it, but it's so fun adding the bows, and seeing the pretty sparkles. I've actually been inspired to get more ribbon, and experiment with different bows, and bow placement. One side is 3D, and the other side leaves room for "To: and From:"
And finally, I also received a great selection of holiday gift bags. The pack was full of 18 different bags, of all shapes, and sizes. There were cute bags with penguins, and owls, and then there were more classy bags. 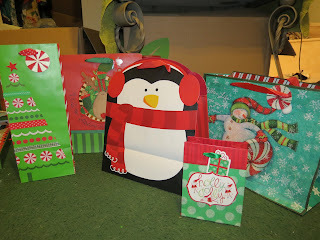 The bag selection features a bag for everyone on your holiday list. Overall, I can definitely say BJ's has an awesome selection for all of your holiday gifting supply needs! Be sure to check out a BJ's near you, and take advantage of there awesome promotion going on right now, where you can get a free 60 day trial membership. Disclosure: Review products were provided to me free of charge. All opinions expressed within this post are my own, and were not influenced in any way. I could definitely make good use of all that wrapping paper! I love BJ's, they have so much to choose from. Your gift looks so gorgeous all wrapped up. You did a great job with it. I cannot wrap to save my life. I worked at Border Books & Music for about a year and was initially hired as a holiday worker where I had to wrap gifts that were bought at the store. It got to the point where people would volunteer to do it for me because they didn't want people to complain about the horrible wrapping job. We have a bjs near us and I love it! Visit it every wek! I wish we had a BJ's here in California. The polar bear is a really fresh twist on the bow. I like decorating my gifs and that would look great on mine! 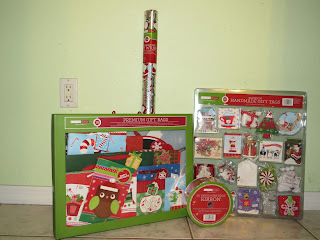 I like the idea of helping others--nothing that I have seen around here or I would be busy buying for them as well--BJ's really does have a nice assortment of wrapping materials--next time I visit my friends (who are members) I will be sure to go in and buy some up for next year!! I love the wrapping as much as I love the present!!! Awesome bows!!! I need to learn how to make those. I love your big present! I am SO bad at doing bows and stuff~ none of the kids presents have any decorations on them! Thanks for sharing about BJ's products!!! That paper is gorgeous! We really need tags it looks like BJ's has a great selection! Great decorating. We don't have a Bj's but I do love to bulk shop!! Nice review of their wrapping items available to consumers. :) ! 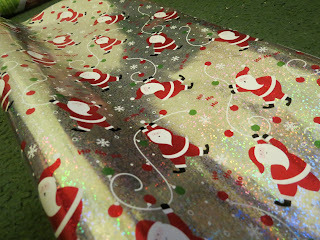 I use to put so much time and energy into wrapping my presents so pretty. Even decorated my own paper and created gift tags myself. Now, I'm happy if I have them wrapped and write the names on with permanent marker. This mama has gotten lazy! Love BJ's! Looks like they have a nice selection of their gift wrap! Having everything in one place sure does help when it comes time to wrapping gifts. Your post makes wrapping look like so much fun! It doesn't have to be elaborate to be nice. Those are really cute! I love the bows and wrapping paper too! I am loving that snowman paper and that bow!! I wish we had one of these around where I live.